Rural pubs across England will be expanded to include Post Office facilities, grocery shops and libraries thanks to £188,000 of government funding. Minister Jake Berry today (25 March 2019) announced 76 new projects will receive money through Pub is The Hub, a ground-breaking organisation that supports rural pubs to diversify and help pubs bring communities together by expanding their services beyond food and drink. Our pubs are at the heart of local communities supporting thousands of jobs and providing places for local residents to not only enjoy a pint, but also to get together. The encouragement, advice and support given by the Pub is The Hub is proving invaluable in helping rural pubs expand their offer. Pubs are not only places to drink but also home to essential community services and providing welcome meeting places to help tackle rural isolation. This funding will be welcomed by many projects and will be a huge boost for thousands of people living in, and visiting, rural communities. 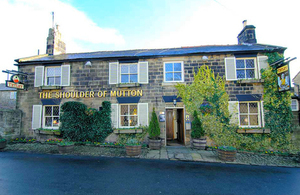 Services and activities delivered by professional pub licensees (landlords) through their businesses can provide a wide range of benefits; basic groceries, library books, training courses, outlets for local suppliers and new jobs - all delivering improved levels of well-being through vital social connections. Today, the minister will be writing to all the major players in the pubs and drinks industry, urging them to join government in supporting village locals right across the country. The 76 projects who will receive money through Pub is The Hub are crucial to empowering local people across the country. Pub is the Hub was set up in 2001 with the support of HRH the Prince of Wales, to help improve community services and activities in primarily rural areas. The organisation is staffed mostly by volunteers and has worked with pub licensees, local authorities, local communities and industry partners to help hundreds of pubs across the country provide a wide range of services and facilities for their local communities. The government has supported Pub is The Hub with over £500,000 of funding since 2013.